With increasing competition, health and fitness centers are looking for more creative and innovative ways to attract and retain members. 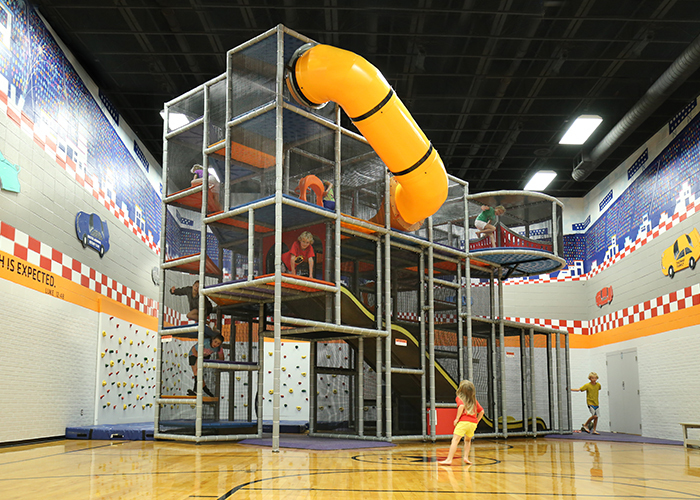 The most successful health and fitness centers are already offering to their members a highly valued, emotionally-loaded and family-attracting experience of soft play structures. Installing a play structure in your facility will not only attract families and caregivers but also provide healthy and active play experiences for kids. 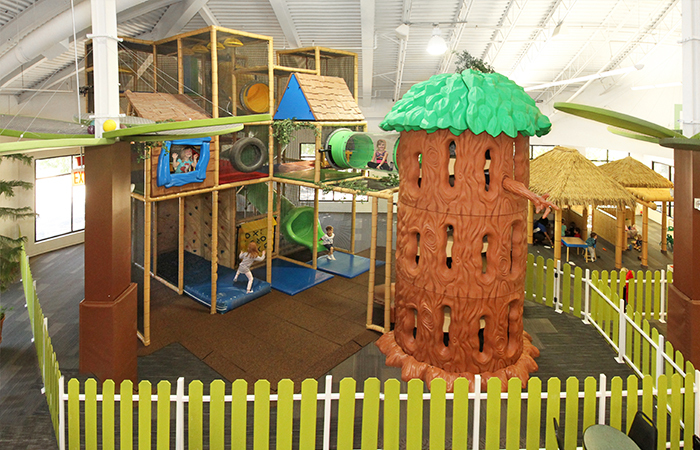 Soft Play® can design and manufacture a commercial indoor jungle gym for your health club, gym or other company. If you own any business in the fitness industry, especially, installing jungle gyms and soft play structures indoors can be a great investment. 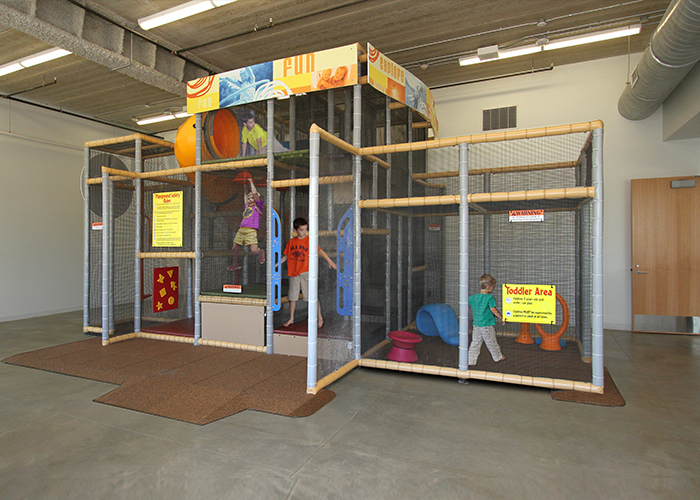 Installing indoor jungle gym equipment at your place of business can help attract families and caregivers. Families and caregivers may be more interested in dropping by your place of business if everyone in the family can take part in working out. You may even be able to offer new service options by offering children’s areas as well as exercise areas for adults, offering true whole-family packages for everyone in the family. Indoor play gym equipment from Soft Play also lets you provide active and healthy play experiences for children. If you’re in the fitness industry, chances are good you know the importance of health and exercise for everyone. Helping children get active and exercise early can help inspire them to develop these healthy habits for an entire lifetime. As children get older, they may even be interested in joining your gym or health club to continue their mission to stay in shape. In the meantime, children get to have fun and exercise while their caregivers are busy. Safety. Each piece designed and manufactured by Soft Play is created by engineering experts and is carefully tested for safety, ensuring you’re providing your clients with safe and secure fitness and play solutions. Quality. Made from high-quality plastics, metals and other components, Soft Play gyms and jungle gyms, as well as fitness equipment, are designed with quality details and craftsmanship. Durability of equipment. Soft Play equipment is made to last. It can withstand many hours of play and hundreds of children climbing all over the equipment. It will continue to look great year after year, making it an excellent long-term investment for your business. A fun indoor play gym. Soft Play starts designing with the concept of creative and fun play in mind. We make sure children are happy and looking forward to trying your jungle gyms or play gym. Check out the options Soft Play has available for you or contact us today to discuss custom-themed indoor play areas for your gym or health club. Contact a Soft Play representative to learn more and get the playground design process started – we offer free design consultations! Whether your space is big or small, there is a noticeable difference when inviting, colorful playground is luring parents and children to your health and fitness center. Make no mistake: playgrounds can power your business through increased traffic, increased memberships, repeat traffic and building brand loyalty. Installing new play structure at your Health and Fitness Centers attracts and keeps potential members. Soft Play is your one stop when it comes to developing a system that is perfect for your business. Our systems are safe, space-efficient, durable, easy to maintain and fun. Creating fun and active play areas helps your facility stand out and promote healthy lifestyle within your most precious members – kids. We can help you design innovative playgrounds that get kids moving, challenge their bodies, minds and imagination. 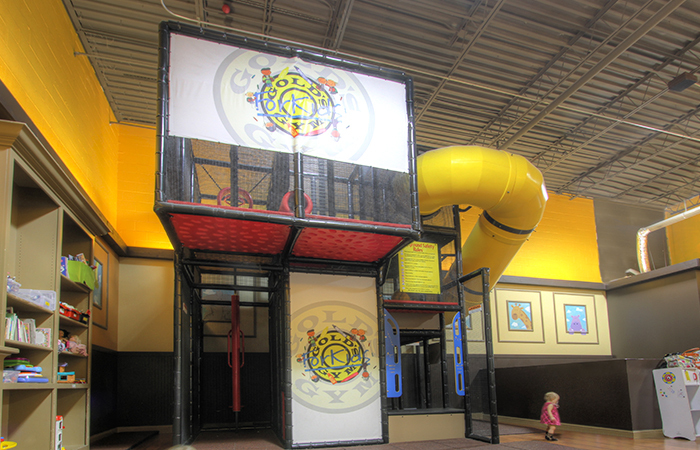 Bringing safe play structure to your facility is crucial to your business. We design play areas that provide a great place for children to exercise while still maintaining high safety standards. We make sure our equipment can withstand everything kids can dream up. The Children's Play Gym has been a major draw for our new facility. It has allowed our YMCA to better serve our child care participants, families within our YMCA, and also schools within our service area. 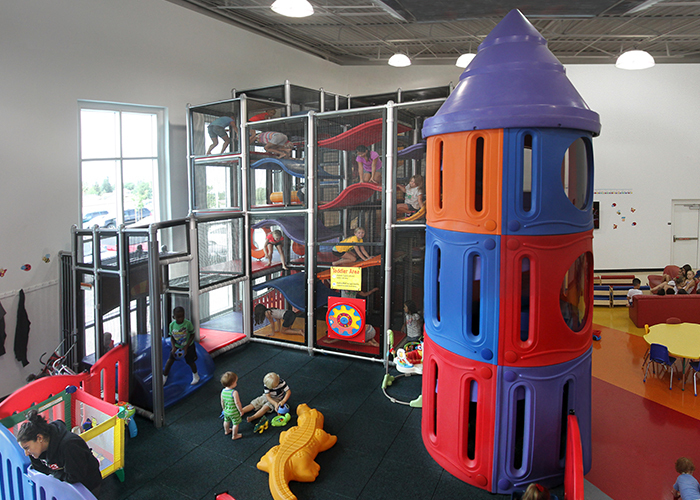 The Play gym has also been an unexpected revenue producer through our rental program. As a Program Director this equipment is a very valuable tool. We would seriously recommend that YMCAs explore this type of equipment to make stronger connections to both youth and families. We’re a family entertainment complex with video games, rides and an ice-rink. The Soft Play equipment we had installed last August has been a great addition. Everyone from the sales rep to the installation crew was excellent. But more importantly, our customers love the way it looks, and all the tubes and slides really attract the kids - it’s one of the most active and busiest parts of the complex. I just wish we had more space to accommodate a larger unit." I wanted to express how pleased I am with the performance of the Soft Play playground I purchased for my business. I am very satisfied with the increase in sales, as well as by the comments of my customers. Kids enjoy playing in the park, and parents appreciate the security of the excellent visibility of the playground's design. I would recommend Soft Play to anyone looking to add a play environment to their business.